Sunshine Coast shade sails will help you keep cool, sun safe and sheltered from the elements. We are proud to be the suppliers of choice in Caloundra and Kings Beach for shade sails. We offer the best design, quality, sun protection factor and range of colours and weights to meet your shade needs precisely. Our friendly and experienced professional team will visit your home or business for a free measure and quote, and then fully install your sail or support you every step of the way if you prefer to DIY. 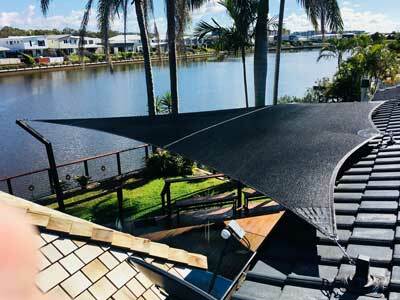 Our shade sails are perfect for the outdoorsy, hedonistic lifestyles of Caloundra and Kings Beach. The Sunshine Coast Shade Sails team are locals who understand your lifestyle and the local weather and climate. Our sails are strong enough for ocean breezes and summer storm season, and beautiful as well. 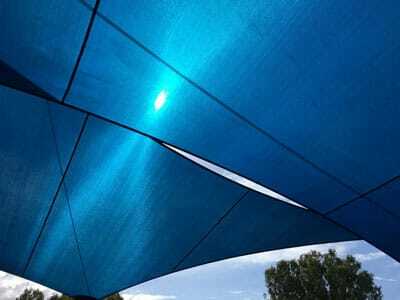 Whether you would like a shade sail for your pool to protect your family from the sun, or for your garden or deck for some shade, or a large or small commercial shade structure for a carpark, retail or outdoor dining area, sporting ground or factory, at Sunshine Coast Shade Sails we have you covered. 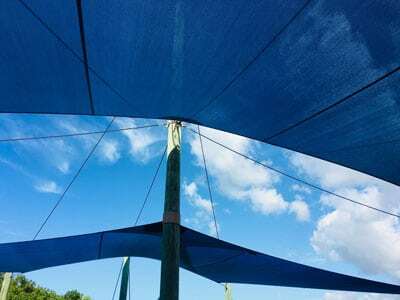 Homeowners and business owners in Moffat Beach and Shelly Beach can rest assured that Sunshine Coast Shade Sails will take the time to understand your unique shade sail requirements. Our range of colours and weights of shade cloth can be cut to custom sizes and shapes to fit your spaces, your lifestyle or business needs perfectly. We are locals – we live locally, and our family-owned and managed business is located locally. We understand your lifestyle and needs because we share them. Sunshine Coast shade sails are the perfect choice for residents and business owners. 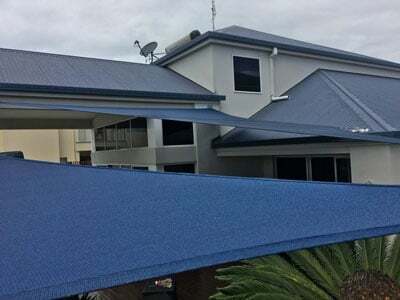 More homeowners and business owners are choosing Sunshine Coast Shade Sails for their shade needs in Caloundra Kings Beach, Moffat Beach and Shelly Beach. Friendly to the environment, as locally made and guaranteed for long life they are a low carbon-footprint choice. Sunshine Coast Shade Sails is committed to you and to the quality and longevity of our product. We offer a full advice and maintenance service to help you extend the life of your sail even beyond the 10-year guarantee period. At Sunshine Coast Shade Sails, we are professionals who care about your sun safety and shade protection. Contact us today for an obligation-free measure and quote.